Straight out of a country cottage. 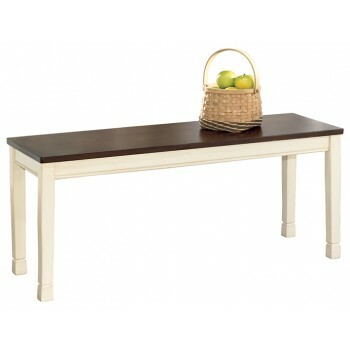 Its unique two-tone finish brings a relaxed and timeless look to the table. It also works as a welcome addition to a mudroom or casual living area.